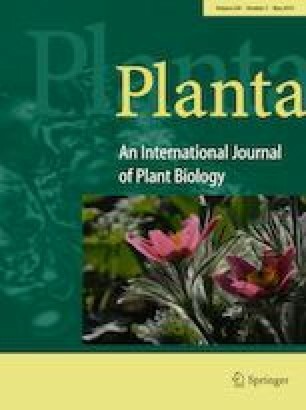 The overexpression of SlbHLH22 functioned in controlling flowering time, accelerated fruit ripening, and produced more ethylene-producing phenotypes in tomato. Flowering and fruit ripening are two complex transition processes regulated by various internal and external factors that ultimately lead to fruit maturation and final seed dispersal. The basic helix–loop–helix (bHLH) transcription factor is the largest TF gene family in plants that controls various biological and developmental aspects, but the actual roles of these genes have not been fully studied. Here, we performed a functional characterization of the bHLH gene SlbHLH22 in tomato. SlbHLH22 was fully expressed in tomato flowers, while a moderate expression level was also observed in fruits at different developmental stages. Overexpression of the SlbHLH22 gene revealed that it is highly involved in controlling flowering time, through the activation of the SlSFT or SlLFY genes, and promoting fruit ripening and improved carotenoid accumulation. The expression patterns of carotenoid-related genes (SlPYS1) were also upregulated in transgenic tomato fruits. In transgenic tomato fruit, we observed clear changes in colour from green to orange with enhanced expression of the SlbHLH22 gene. SlbHLH22 was upregulated under exogenous ACC, IAA, ABA, and ethephon. Overexpression of SlbHLH22 also promotes ethylene production. Moreover, ethylene biosynthesis and perception genes (SlACO3, SlACS1, SlACS2, SlACS4, SlACS1a, SlEIN1, SlEIN2, SlEIN3, SlEIN4, SlETR2, SlETR3, SlSAM3, and SlSAMS) were upregulated. Ripening-related genes (SlAP2a, SlCNR, SlNOR, SlMYB, and SlTAG) were consistent in their expression pattern in transgenic plants. Finally, our study provides evidence that tomato bHLH genes play an important role in flowering, fruit ripening, and development. The online version of this article ( https://doi.org/10.1007/s00425-019-03157-8) contains supplementary material, which is available to authorized users. This work was supported by the National Key Research and Development Program (2016YFD0400101), the National Natural Science Foundation of China (31572175), and the Committee of Science and Technology of Chongqing (cstc2014kjcxljrc0020).